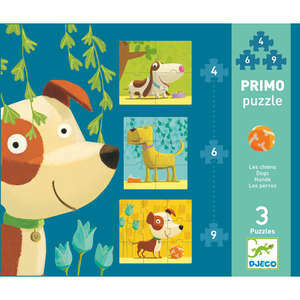 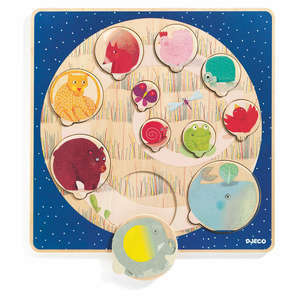 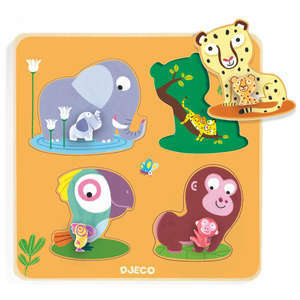 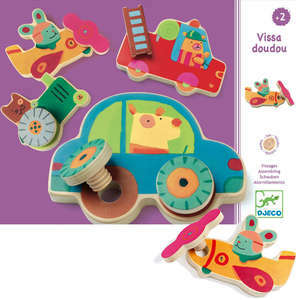 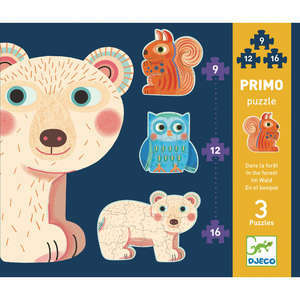 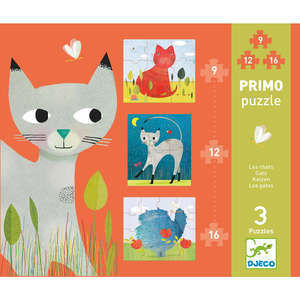 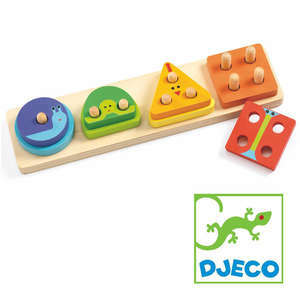 Djeco primo puzzle contains 3 progressive jigsaws ranging from 3 to 5 pieces. 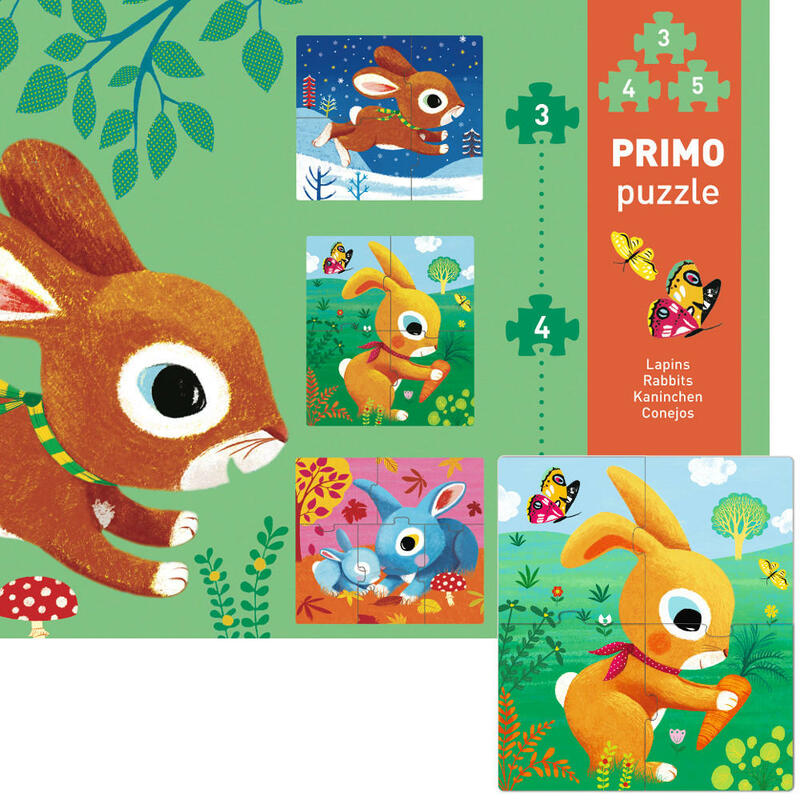 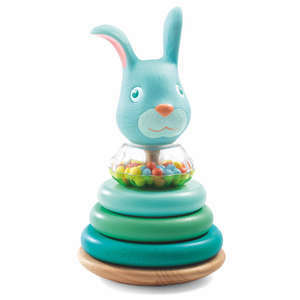 Rabbits features 3 delightful bunny puzzles. 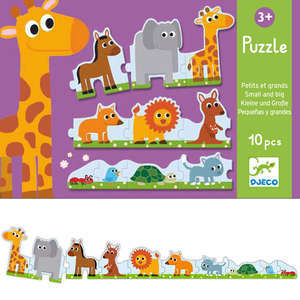 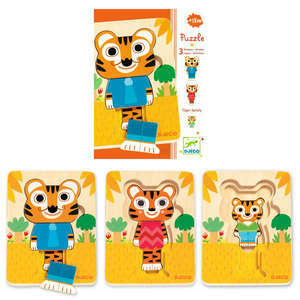 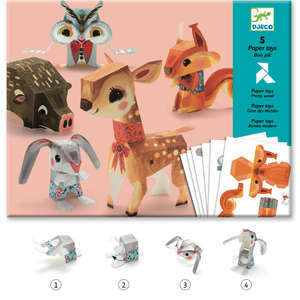 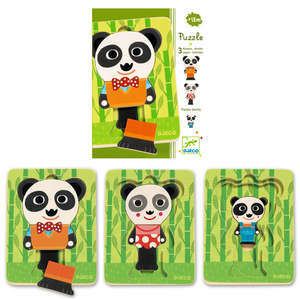 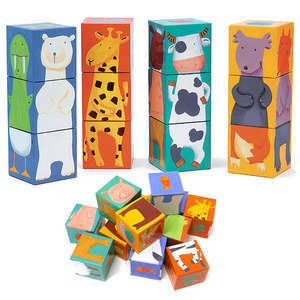 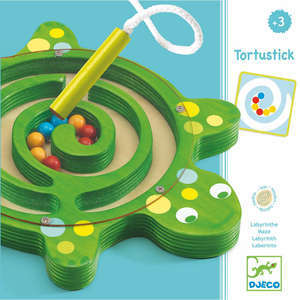 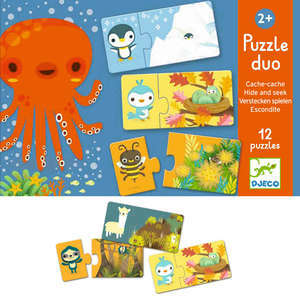 The large puzzle pieces are made from thick card and the animals are bright and colourful. 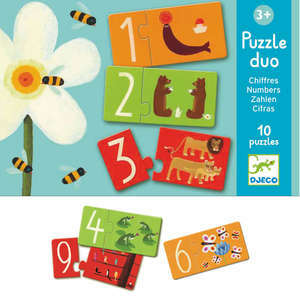 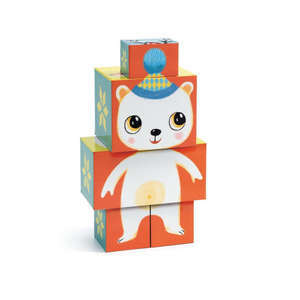 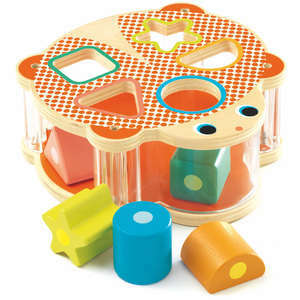 Watch your child grow in confidence as they try each puzzle for the first time.